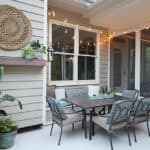 It’s nearly summer and like most people, our focus has been on our outdoor spaces. 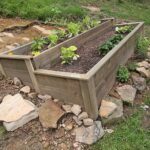 Last time I shared the progress of our Hillside Garden. But maybe you wondered how we maintain that previously unruly hillside? Would you believe it if I told you we only use battery powered equipment? Even our grass cutting is now completely done without gas and is simply, cleanly and more quietly maintained with battery power. I will tell you right up front that I have a partnership with Ryobi Powertools, but our initial venture into the Ryobi Outdoor lineup has been as a result of trusting the name and purchasing their products. 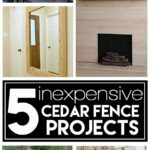 We started with the 40v Jet Fan blower, the Brushless Chainsaw (we needed to purchase one for maintaining our woods), and the X Expand-it String Trimmer. 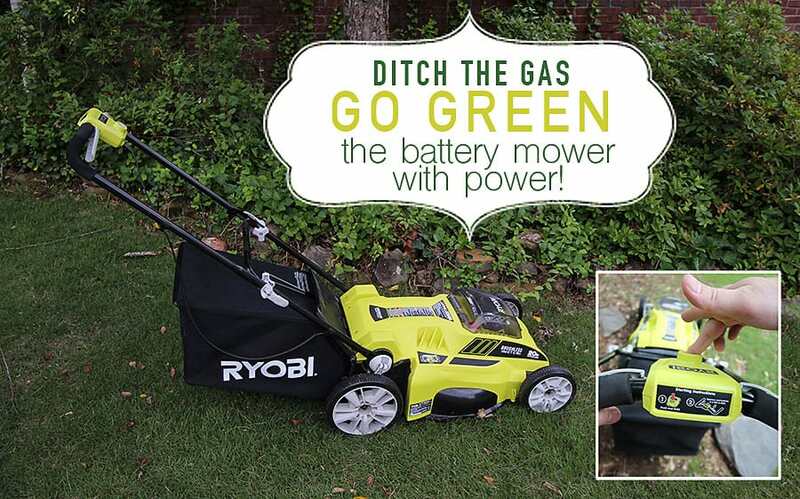 After seeing the power and ease of use these products offered and being frustrated with a hassles of a traditional lawn mower, we knew we had to find a new solution, so we began looking at Electric lawn mower reviews by YardMasterz and we thought we’d like to give the Ryobi 20″ 40v Lawn Mower a try. 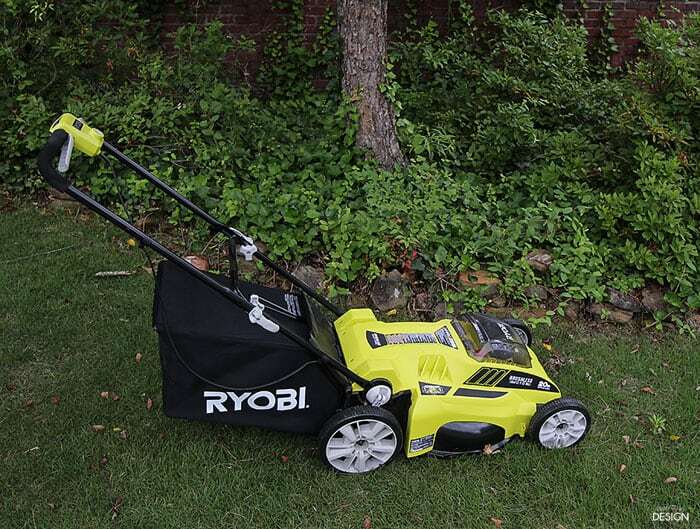 And the good people at Ryobi Outdoors kindly sent us one to review. I personally do not cut the grass and therefore haven’t used the mower. I’m allergic to cutting grass, literally. I have watched, asked a ton of questions and can share my better half’s honest opinions. And I’ll just tell you now, he was so pleased with this battery powered mower he promptly sold our almost brand new gas mower. He is committed and here’s why. 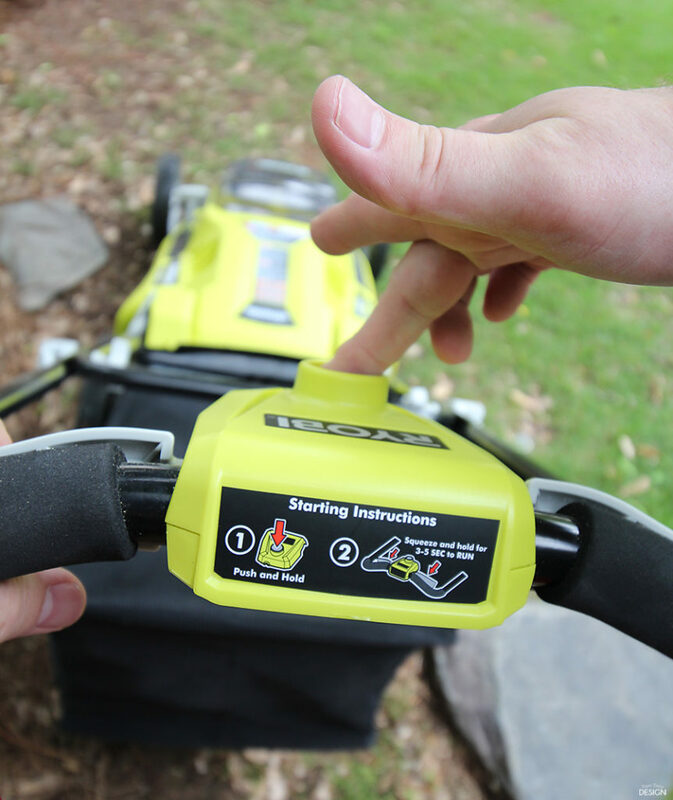 He took the mower out of the box, tightened the handle, loaded the batteries and hit the start button. It was that easy. Because we live on a steep hill, our yard is divided into three levels. So, the easy start button is a huge plus for us. Each time he moves to the next level of the yard, he can stop and start with just a simple push of the button. The mower is not self-propelled, but it is lighter than a traditional mower, so it is easy to push. 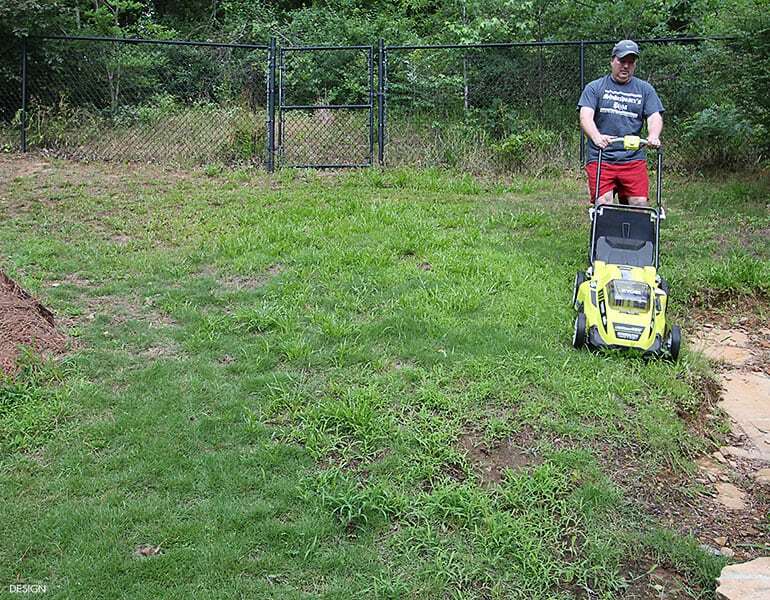 Here are the super clean reasons he gave me for why he loves having an environmentally friendly maintained yard that is completely battery powered with the Ryobi 20″ Brushless Lawn Mower. No more gas smells or spilled gas. No more pulling chords to start engines. No more buying expensive gasoline and extra trips to the gas station. No more issues with ethanol clogging the carburetor. Start/Stop as many times as you need, with no effort. 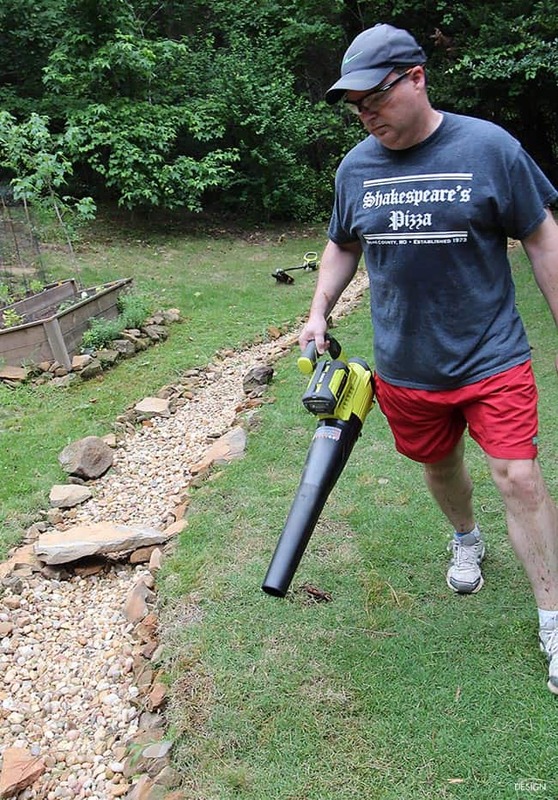 I’d be remiss if I didn’t tell you a little more about other favorite Ryobi Outdoor products. 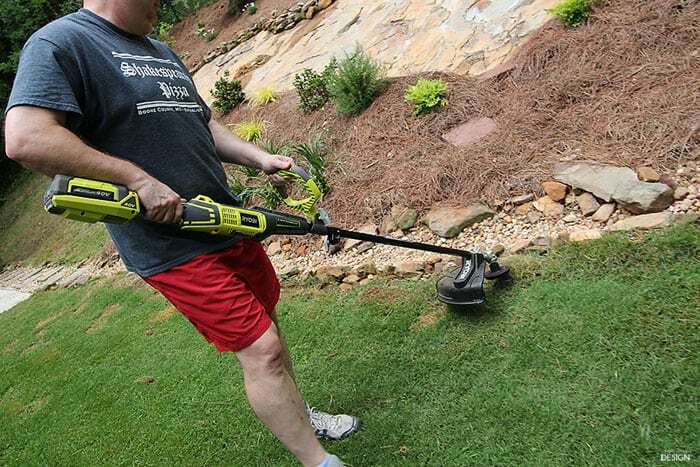 This 40v Expand-it String Trimmer is just as powerful as a gas trimmer and a bit lighter too. But my absolute favorite in the line up, the one I personally use? That would be the 40v Jet Fan Blower. I use this thing all the time! I wouldn’t touch the gas blower we had unless I was desperate. But with this easy to use, light weight battery powered blower, I don’t hesitate to pick it up. I use it to clean leaves and debris off the patio and porch, blow saw dust off of the work table or out of the garage and just about anywhere else outside. Heck, I’d use it in my house if I didn’t think it would freak out the dog! 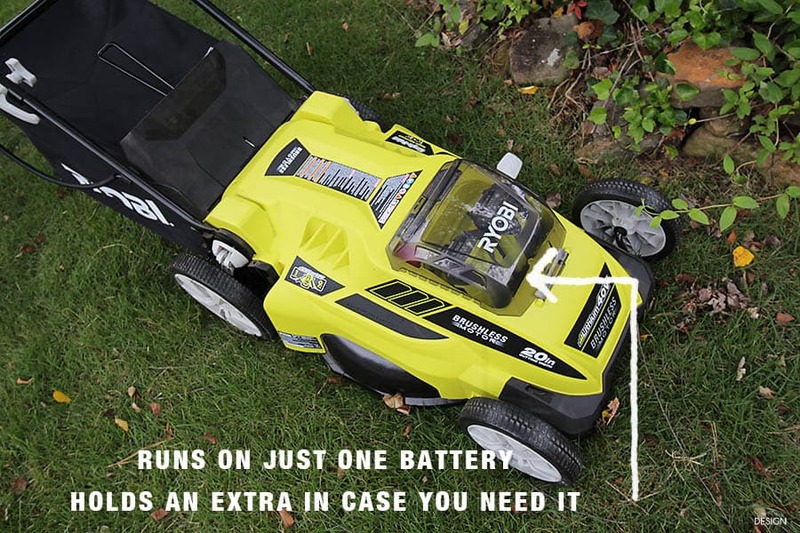 The mower, or honestly any of the 40v line up, would make terrific Father’s Day gifts. 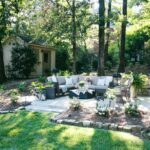 This would probably go fantastically with a consultation with a lawn care specialist (https://www.lawncare.net/service-areas/tennessee/) so he can get some more tips on how to keep his lawn in top form. 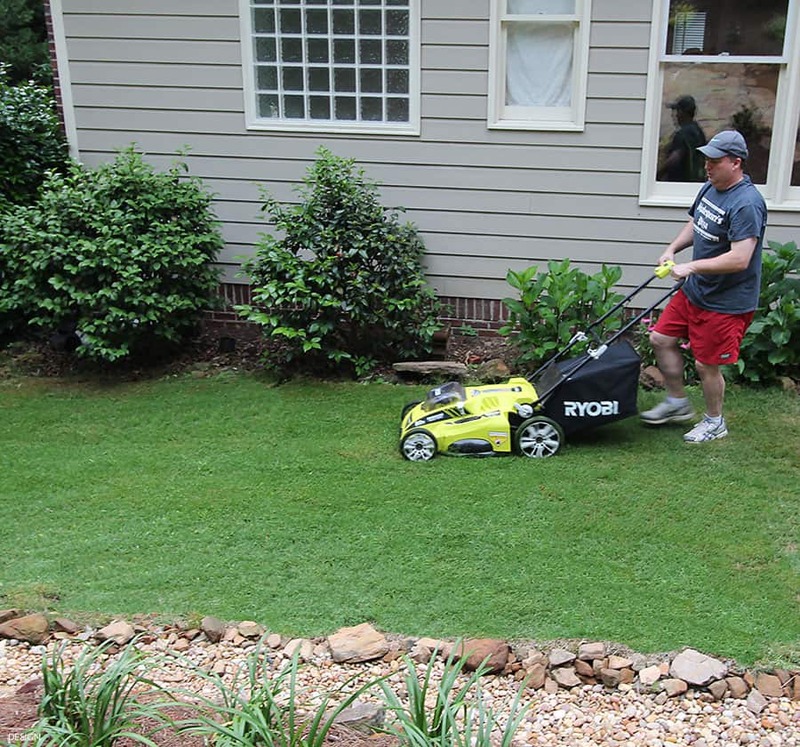 Disclaimer: While I was given the Ryobi 20″ 40v Cordless Lawn Mower for review, all opinions and photos are my own. This post also includes affiliate links. These measures help me bring you the best content at no cost to you. 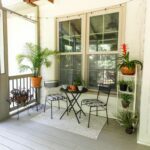 I appreciate having you as a reader and want to continue provide you with helpful tips and ideas for your home.